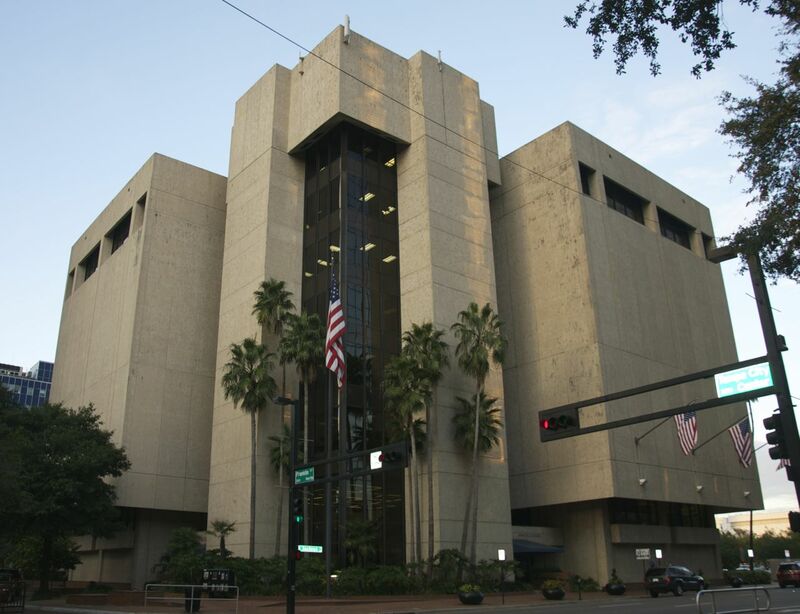 The brutalist Tampa Municipal Building was constructed when the City Hall would no longer contain the necessary records due to Tampa’s growth. I have done my due diligence in searching for information about the building, and maybe it is because brutalist architecture is just not much loved among some, but there is nothing I can locate other than a brief mention. I was excited to locate a blog that included a photograph, and yet, the only comment about the building was “And then there was this ‘Municipal Building.’ On the other side, nestled in the rear corner of the concrete fortress, I found one of the few old buildings in the city” and then the author moves right past and further down the street. An architectural walking tour for downtown mentions buildings all around this one, but nary a remark about it. I have always liked fortresses and castles, so perhaps it is just natural that now I have come to see brutalist architecture as a thing of beauty in its massive form, that I would come to embrace this modern concept of the fortress. I am in awe of the power it evokes, and the sense of protection it offers at the same moment. 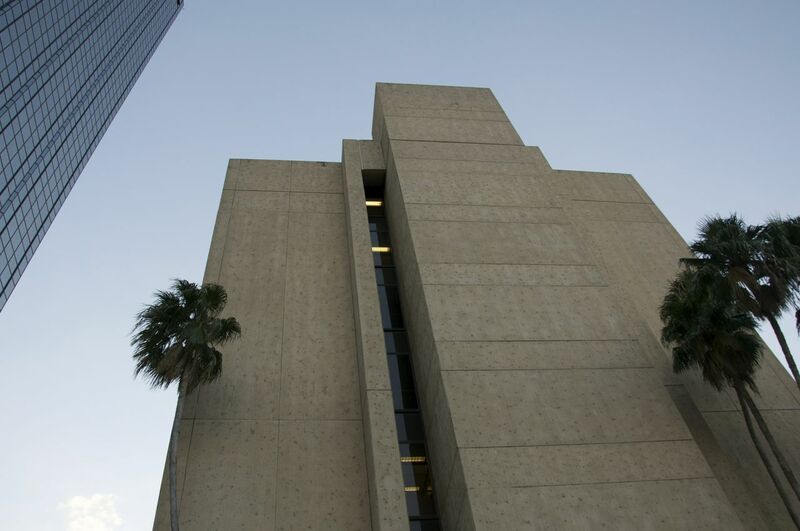 This entry was posted in Brutalist Architecture and tagged Brutalist architecture, Tampa Municipal Building. Bookmark the permalink.